Westway To The World is part of Youngerman's 'Sounds From The Street' print series. The Clash design features the real location of roads and landmarks where the actual street names have been changed to songs and people associated with the classic band. The punk inspired map is based on the true area of central London which Joe, Mick, Paul and Topper would have known well. Don Letts originally called his Grammy award-winning documentary about The Clash "Westway To The World" after the infamous Westway flyover in London's Notting Hill neighbourhood. The Clash is synonymous with this west London postcode, so I thought it only fitting to carry on the name. 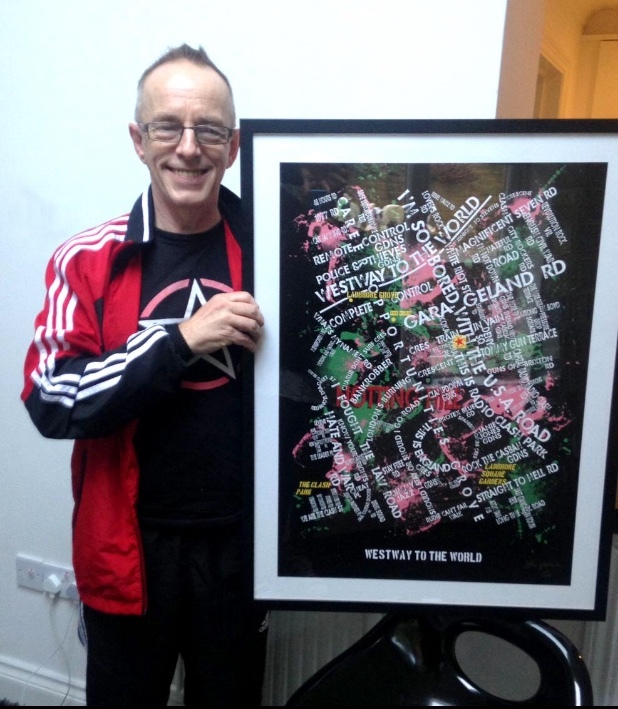 THE CLASH own the 1/150 edition print, accepted by NICKY 'TOPPER' HEADON, on behalf of the band.